I write you from Fairbanks, where my cousin picked me up from the airport in a ’91 Subaru Justy with additional dash-heaters to keep the inside of his windshield from freezing. Been eating this city’s fine Thai food and appetizers at Lavelle’s, and thinking about making cake. 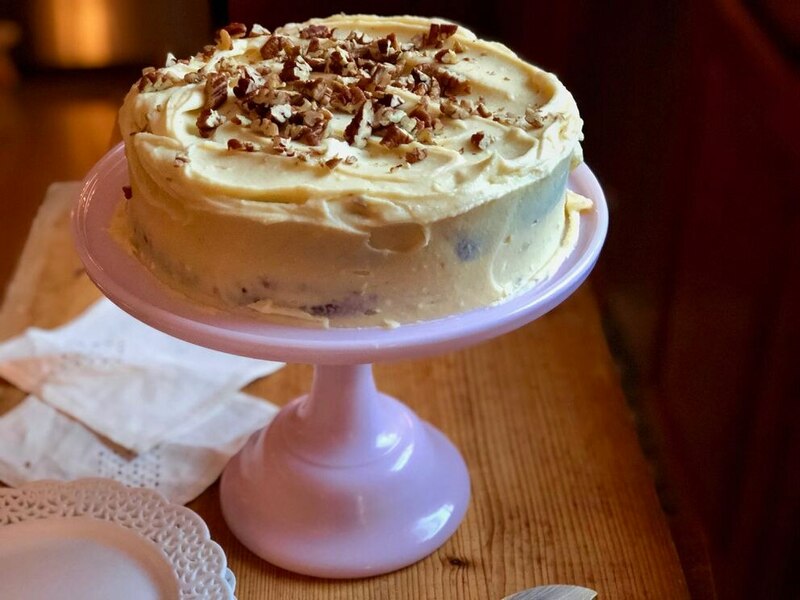 Specifically Kim Sunee’s pretty little banana cake with mascarpone frosting. Bananas are fine, but cake is great. Plus it gives you an excuse to have a friend over. This is the slow time of year, Alaska’s visiting season. Also on my mind: my big dutch oven. I want to warm up the kitchen with a couple hours of cooking something slow and low. I’m thinking Sunday. 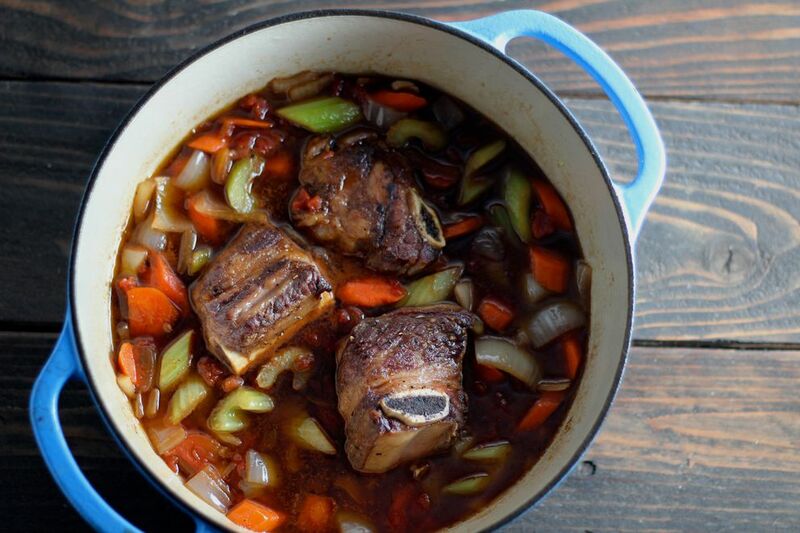 I’m going with Maya Wilson’s recipe for braised short ribs. 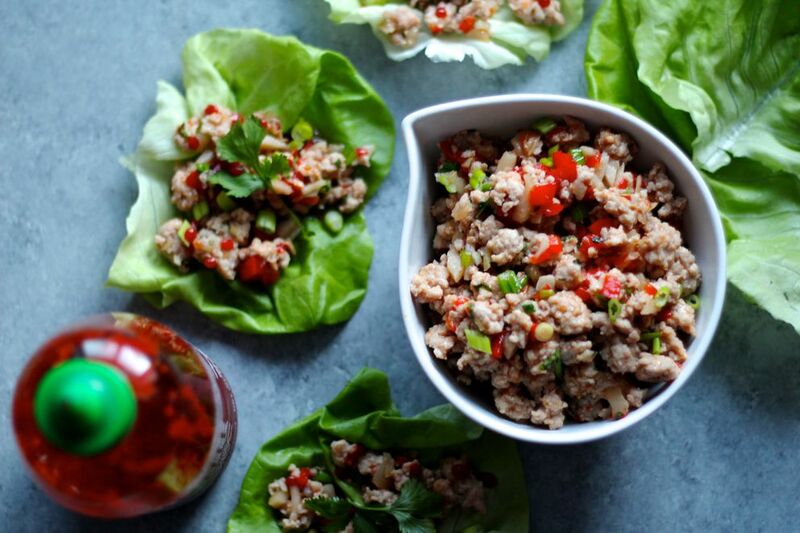 Oh, and speaking of Fairbanks Thai food, if you have been craving something spicy, crunchy and light, you could probably throw together some ginger pork lettuce wraps one weeknight. Keep an eye out for butter lettuce at the store. I do have some bad news, it appears that the 27-pound bucket of emergency mac and cheese Costco had on offer has sold out. Did you get one? To offset the very idea of that many carbohydrates in one place, we should all have green tea and a blueberry smoothie for breakfast. Here’s hoping you take a minute to notice the sunrise.